isn’t in curly noodles. ha. Had you ever even heard of a spiralizer before? Think julienne’d vegetables in a split minute or curly fries as quick as can be. For what it’s worth, the spiralizer is ridiculously easy to use and I love mine. (I bought this one after reading a ton of reviews. I’m not an affiliate of anyone, so definitely look around for a deal. I think I paid around $30 for mine.) If yet another kitchen gadget is not your thing, a julienne peeler also works great, the “noodles” just won’t be curly. Because I can’t stop making it, this recipe is a variation of the fantastic cauliflower sauce. I spiced it up with chipotles and pepper and my whole family (even the non-spice lovers) devoured it in no time. We tossed this sauce with the zucchini and also poured it over chicken. I hid a small bit of the sauce in the fridge for tomorrow and I don’t plan to share it! I’m going to drizzle it over some roasted oven fries. Just a note: Don’t expect your vegetables to suddenly taste like a plate of pasta. You are still eating vegetables after all. That isn’t what the spiralizer is about. I have a well known love of both kitchen gadgets and vegetables. Discovering a new way to serve and eat vegetables has had me grinning all week. Place the water and the cauliflower in a large pot and bring to a boil. low heat. Cook for a few minutes, until the garlic is fragrant and soft. 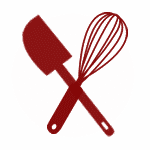 Use a slotted spoon to transfer the cooked cauliflower to the blender. cooked garlic and butter from the skillet, the chipotle pepper, the salt and the peppers. is, this could take a few minutes. Add the milk and pulse to combine. refrigerate until needed. Serve hot. Enjoy! you’ll wind up with a lovely pile of curly zucchini noodles. 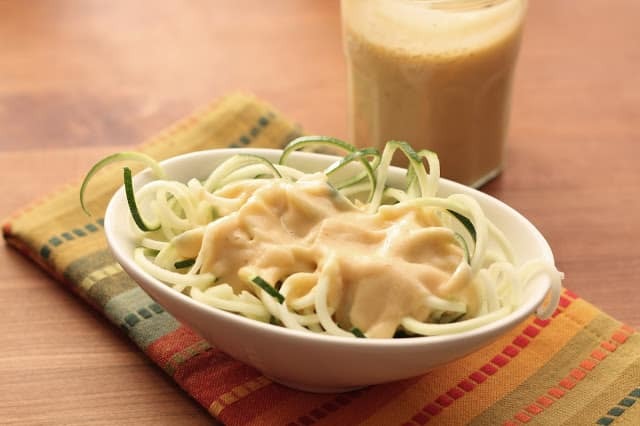 When ready to serve, toss the raw noodles with the hot cream sauce. Enjoy! I've never made veggie noodles but this dish looks very good and the sauce sounds delicious. 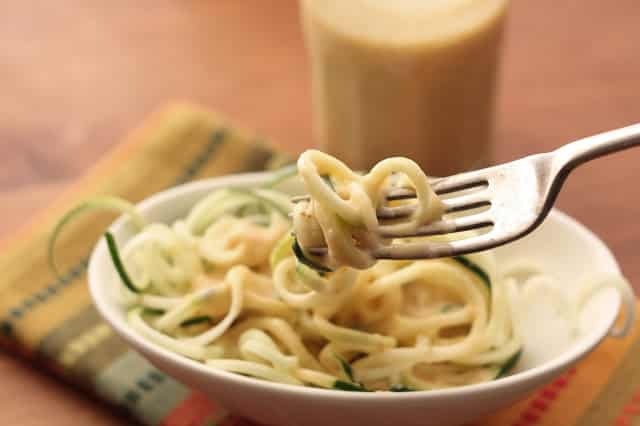 Cheers to the spiralizer! This is a great way to feel like you are eating a big bowl of pasta and getting a healthy delicious meal. Those noodles and sauce are calling my name!! You have almost convinced me to try cauliflower again.